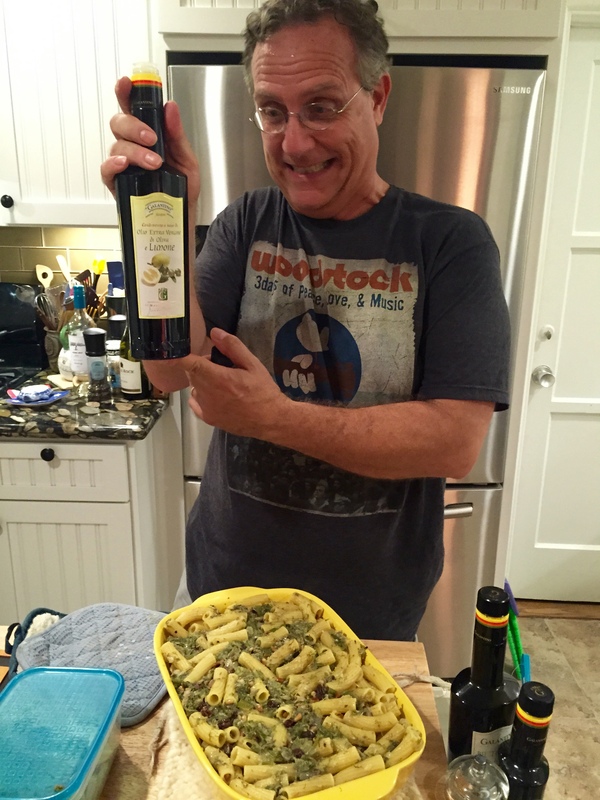 My friend Roberto, musician, teacher and lover of food, especially Italian, came to visit last weekend. He brought us the best gift. He cooked for us! Did I mention Roberto is Sicilian? His recipes are not what you would find in any restaurant and probably rarely what would be published in a trendy cooking magazine. They are true-to-the-culture dishes that are a bit out there and really pushed my culinary boundaries. Skeptical as you may be, this recipe is so delicious, your stomach will be begging for seconds, as mine did. Pasta Con Le Sarde, or Pasta with Sardines, is a representative dish of Sicily from Palermo. What makes this dish so interesting is its Arab influence and how the middle eastern ingredients found their way into Sicily’s culinary history. Examples of this are raisins, pine nuts and saffron included in this pasta. Roberto told me of his mother and aunt making Pasta Con Le Sarde for family dinners. He fell in love with his first taste of the dish even as a young child. As he grew older, and eventually moved to California, Roberto became more interested in the food and ingredients of his homeland. 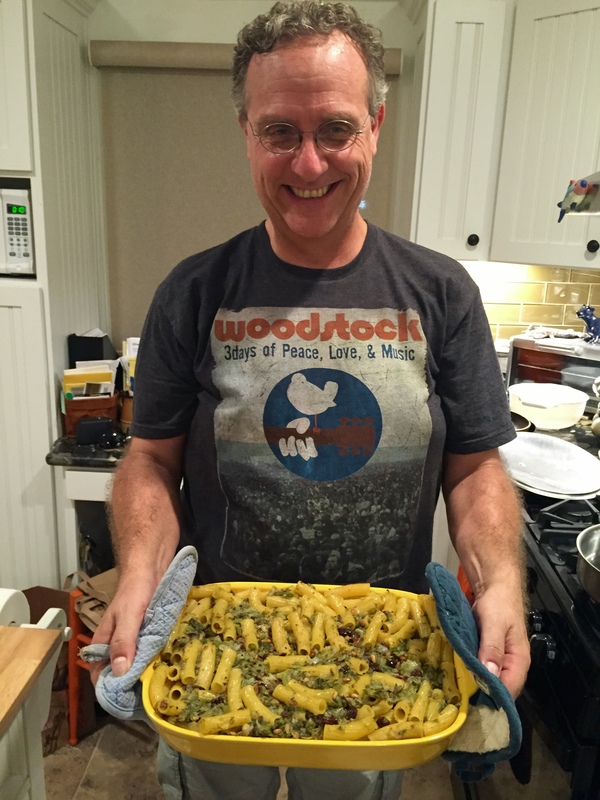 To help with the surges of homesickness most foreigners experience, he began cooking from a cookbook of ancient Sicilian recipes he brought with him from Sicily. Here is the recreation of the recipe he fondly remembers. The beauty of this dish is that you can have a few things going at once and while they simmer, sit down and enjoy a glass of wine. This recipe will not spell out exact measurements because Roberto made it off the top of his head. Still, it is easy to create and this dish is not an exact science! Serves an army or about 4 hungry diners. 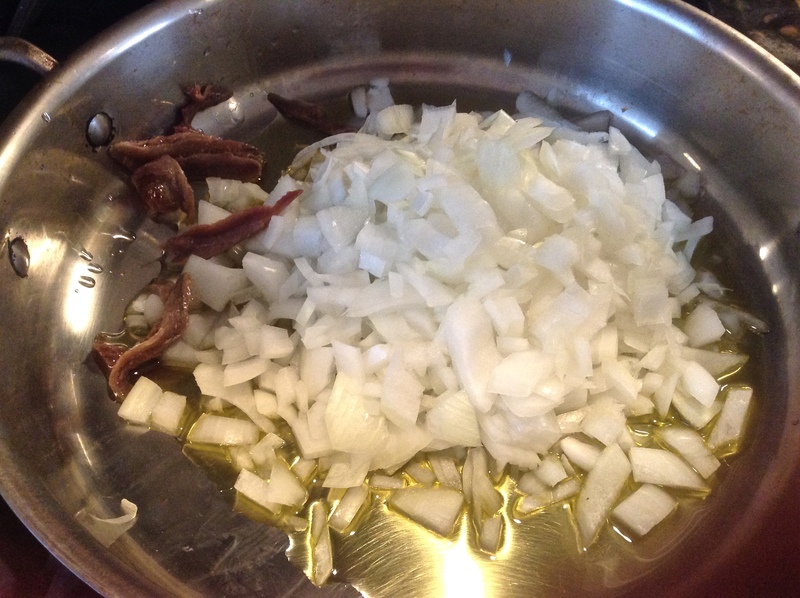 Sauté the onion in the olive oil with the anchovies. Bring a large pot of water to a boil. Add a teaspoon of salt. 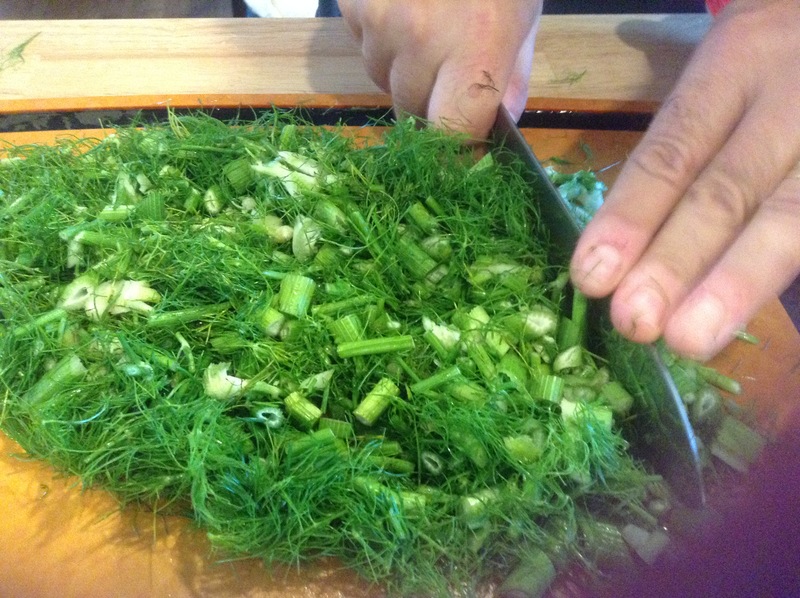 Add the chopped fennel fronds and boil for about 45 minutes or until very tender and soft. 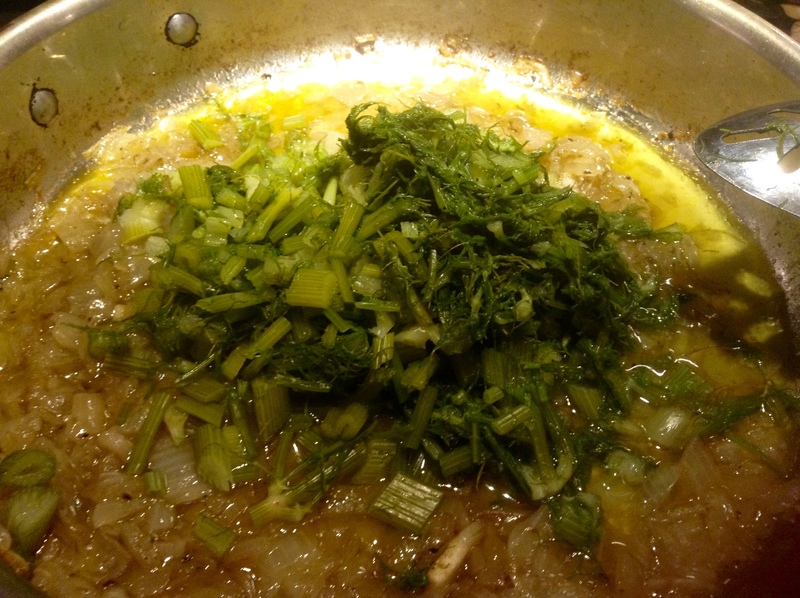 As the onions cook and soften, add spoonfuls of the fennel water to the mixture to keep it moist. When the fennel is cooked, strain it out of the water using a slotted spoon and add it to the onion mix. Do not discard the water! This water will be used to boil the pasta. Add the pasta to the boiling fennel water and cook until just al dente or firm to the teeth. Meanwhile, to the fennel onion mix, stir in the sardines, raisins, pine nuts and finally the saffron. Gently stir in the cooked pasta and coat it with the fennel sauce. Use olive oil, we prefer the Lemon Extra Virgin, to coat a 6 quart baking dish. Pour in the pasta mixture. Generously drizzle the entire dish with lemon extra virgin olive oil, about 2 Tablespoons. Bake in a 325 degree oven for 10-15 minutes or until heated through. 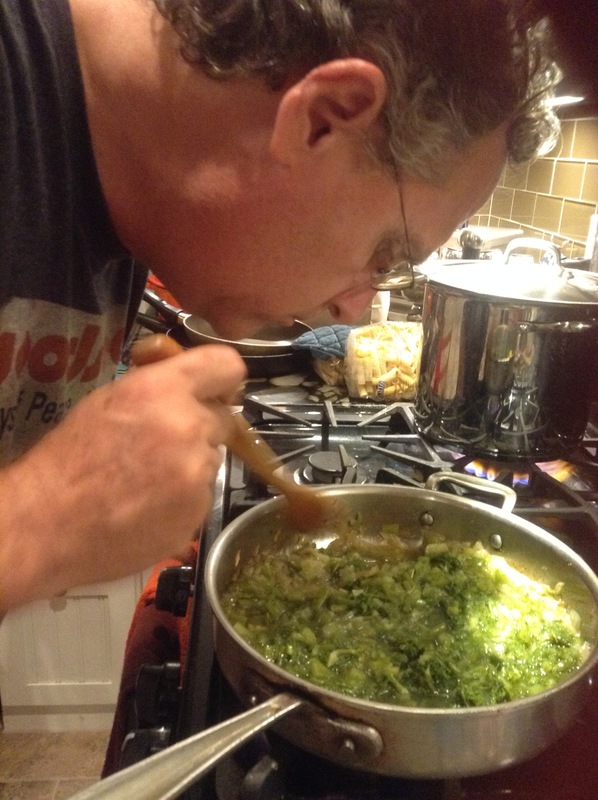 In Italy, Roberto uses wild fennel, Finnochio Rizzo, that he gathers from the side of the road. The nose is telling Roberto how many more sardines to add. The sardines smooth out the strong flavor of the fennel. Of course, in Sicily, fresh sardines are used. The finishing touch – generous drizzles of Lemon Extra Virgin Olive Oil. So, how many of you will attempt this dish? It is quite tasty, not fishy and flavorful to a fault.